By default several apps running in the background even we don’t use. That background running apps consuming battery power in your Note 9. So in this tutorial, I’ll show you complete guide of how to disable apps running in background galaxy Note 9 Oreo 8.1 device. You can individually stop apps running in background on Samsung Note 9. You can turn off background running apps on galaxy Note 9 under device maintenance settings. After disable background running apps on Note 9, these apps will never be able to run in the background. They may not receive updates or send you notifications. 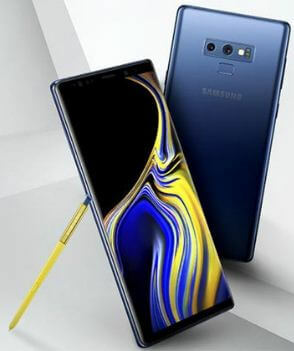 Follow below given step by step process to disable apps running in background galaxy Note 9. There are several unnecessary apps in our device that we don’t use more or temporary use. If you have battery life problem, then stop that apps running in background using below given settings. Here you can see list of installed applications in your Samsung galaxy Note 9. Now these selected apps never running in the background in your Samsung galaxy Note 9 device. Android 9 Pie is latest android OS launched by Google. All devices have background running apps problems that reduce your phone battery quickly. You can disable apps background data in your device. And that’s it. I hope this tutorial, helpful to disable apps running in background Galaxy Note 9. If you have any question, tell us in below comment box. Stay and connect with us for latest updates. Stay and connect with us for latest updates.